Who should maintain my nature strip? 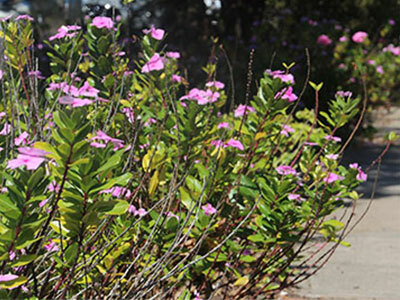 Randwick City Council relies on residents to maintain the nature strips adjacent to their house, which are a logical extension of their own lawn areas. In general, residents throughout the City have been most co-operative. Council may perform maintenance of a nature strip only if the area poses a significant public risk. In this case the work will be carried out once only. After that, it will be the responsibility of the owner adjacent to the nature strip to maintain it themselves. It is not Council policy to maintain nature strips, and it has not done so for many years. This policy relies on residents maintaining their adjoining nature strips before and after any work is carried out by Council. Thanks for your efforts to keep our streets and neighbourhoods looking good, we are able to dedicate money saved to other services for the community's benefit. Can I plant a garden on a nature strip? Council has a new Street Garden policy PDF, 134.79 KB which allows residents to have a garden in the nature strip out the front of their home. The policy is accompanied by supporting Guidelines PDF, 3530.3 KB which outline key objectives in ensuring a desired outcome for the resident, Council and nature strip users. The objective of the policy and guidelines is to set a process and framework for residents to create, install and maintain an authorised nature strip garden or planter box on the nature strip in front of their property while considering responsibility in relation to other users including pedestrians, cyclists and motorists, as well as considering other functions of the land including garbage collection, stormwater management, utility service corridor, parking and street trees. The policy and guidelines are to promote and guide effective management and maintenance of established street gardens, while reduce hazards that may result in injuries or damage to property. If you are contemplating a laneway garden, contact Council to discuss your proposal and planting options. We will work with you to reach a best outcome.